Jollyfloor constantly looks at technological innovations of building materials, starting from fifty-year-long experience of dealing with the public. Differently from a widespread habit based on an ever-growing birth of general contractor firms, in Jollyfloor we are intended to specialize and increase our competence in new materials and spread those ones belonging to our traditional commercial knowledge. 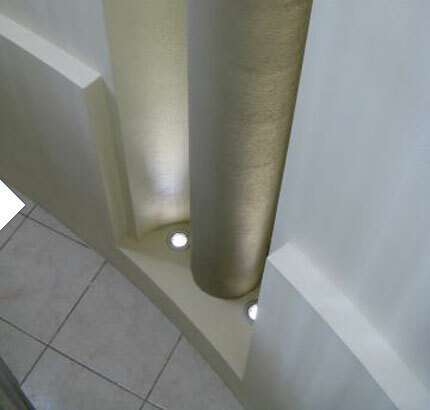 Resilient materials, such as pvc, rubber, linoleum; traditional materials, such as moquettes, parquets and by-products; wallcoverings; plasterboard and ceilings; they are all widely widespread products , but customer doesn’t consider them with the awareness of all information about the top of production. So our engagement is to offer customer professional advice, with fair information about products and their use, because we believe that a good buy is better than a good sale. With this spirit we look at new eco-friendly materials, fruit of human technology, for man, in his environment, with his environment. All of this is not a utopia…It’s just the future, the only possible one. We believe in.